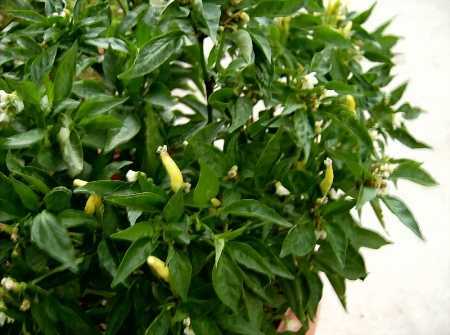 Chilly Chili is blooming heavily and starting to produce little narrow peppers. Chilly Chili is much taller than Medusa. It is just now starting to bloom and make peppers. I think it is showing a lot of promise. 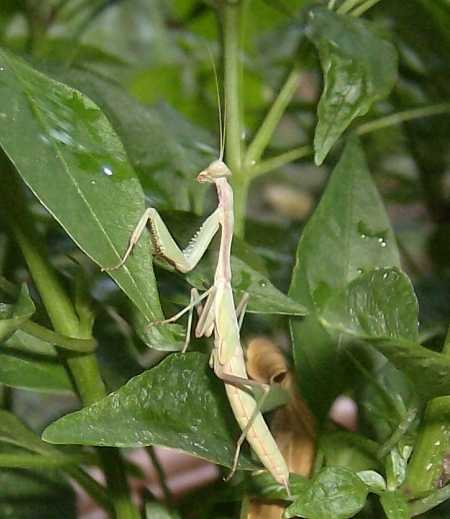 A praying mantis is living in Chilly Chili.